If you have received a notice from your college financial aid office that you have been “selected” for verification, you may feel overwhelmed. Perhaps you thought the financial aid process was over. After all, you filled out your taxes early and submitted your FAFSA on time. Maybe you even applied for a state grant and got accepted to your college of choice. To find out that you have yet another “process” to go through may be a bit disheartening to say the least. But don’t give up! You’re almost at the finish line. Being verified on your FAFSA may feel like the IRS auditing your taxes, and for good reason. They are similar. In both cases, you are selected for review to validate the data that you have provided. While student financial aid applications may be “randomly” selected for verification by the college, the federal government may use “targeted verification“. Don’t despair. You have nothing to worry about, unless of course you have falsified information on your FAFSA. While you may have been selected for verification, it can be for several reasons: an incomplete application, contradictory data, estimated income numbers or simply household size. It’s possible you may have been selected because the college simply verifies all student financial data as a policy, and you should plan for this process all four years. In any case, take a deep breath, relax and read the letter you’ve received carefully. The intent is not to trick you in some way, but walk you through what needs to be done to complete verification. As an example, one of the more common verifications is for tax information. You’ll need to return to the FAFSA website for this. Log into your FAFSA account and use the “IRS Data Retrieval Tool” to import your tax information. This handy electronic tool pulls all your tax information over and inputs it directly into your FAFSA application and will complete this verification for you. A couple clicks of the mouse and you’re done. It’s that simple! Act quickly on letters and requests that are made of you. Ignoring verification will only delay your financial aid or potentially jeopardize it. Follow the instructions given closely and provide everything requested of you. If you get stuck, contact your college financial aid office. They are there to help you and answer questions you have. Verification is “Step #5” of the financial aid process. Do you know all six steps? 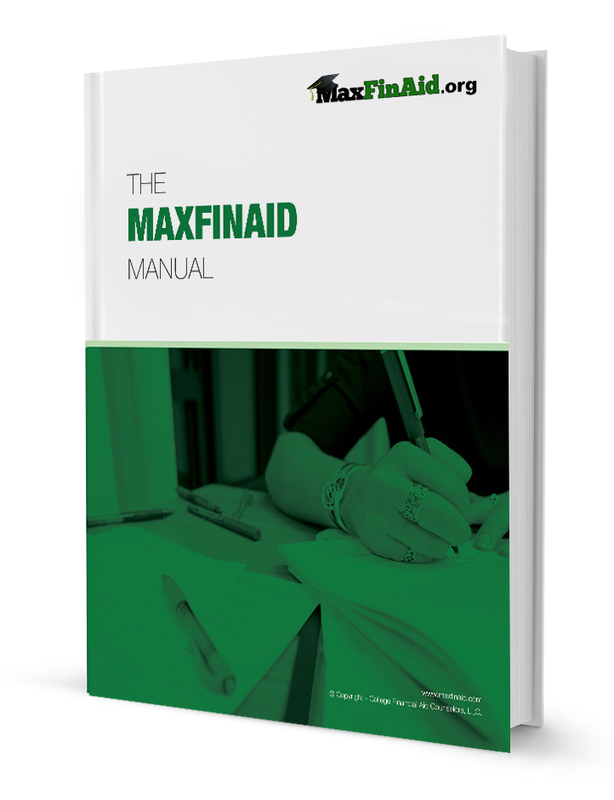 Learn about them by downloading the MaxFinAid Manual.